NBA 2K17 Edition Differences: What should I get? Have you ever thought of buying NBA 2K17 before its released? Do you which NBA 2K17 Edition you want to buy?Are you excited to play the game before others can? No worries! now you can always pre-order the game online. Thanks to the internet! the game can be pre-ordered from Amazon, GameStop and NBA 2K Store. 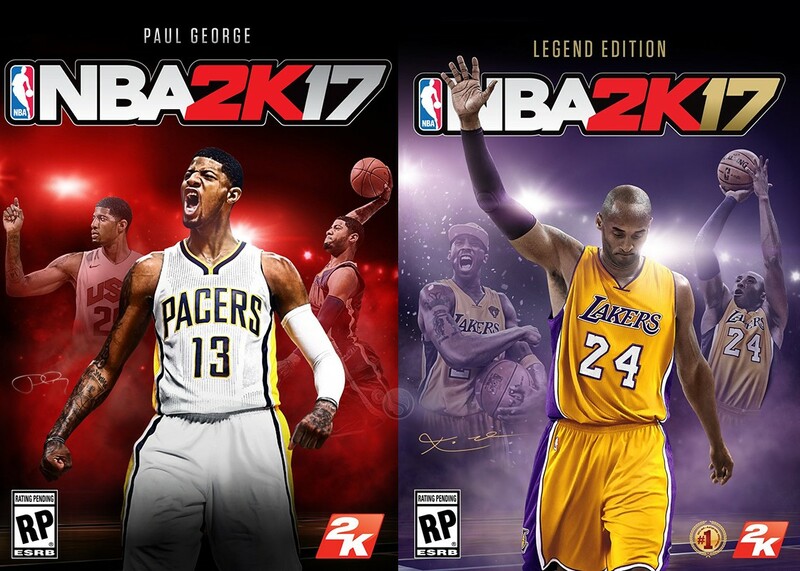 Which NBA 2K17 Edition will you Buy? I’m writing this guide to help you choose what is the appropriate edition should you purchase. The following details is what I know before the game release. NBA 2K17 is to be sold into 3 Editions namely: Standard Edition, Legend Edition and Legend Gold Edition by Kobe Bryant. NBA 2k17 Paul George Standard Edition costs $59.99 gives you the following bonuses. NBA 2K17 Kobe Bryant Legend Edition costs $79.99 gives you the following bonuses. NBA 2K17 Kobe Bryant Legend Gold Edition costs $99.99 gives you the following. As you can see, the prices only vary by 20 bucks. Now it’s time to choose which one is the most appropriate to buy according to your budget, usability. You want to experience the game at cheaper price, then get the standard edition by Paul George. This will only costs you $59.99 and you will save $20 for your future upgrades like buying Virtual Currencies, Dunk packages or even Diamond Player Card Packs. These NBA 2K17 Editions Guide will still help you which game cover you should choose. If you have money and looking for other than digital bonuses, you should buy the Legend Gold Edition. The reason behind is, you will get a Limited time – poster of Kobe bryant. You can display it on your home. You can use it to design your room. It’s good to see a poster, I mean a representation of the game in your room. In the end, the decision is always yours. I don’t know if these help you but you can always comment below if your intention is to help others what edition should they choose. how to choose the right nba 2k17 editionnba 2k17 editionnba 2k17 edition differencesnba 2k17 what should i getwhich NBA 2K17 edition to buy?